My inca trail experience has been GREAT. Since we (my boyfriend and I) booked the tour already 6 months in advance we had enough time to prepare ourselves on the trip. 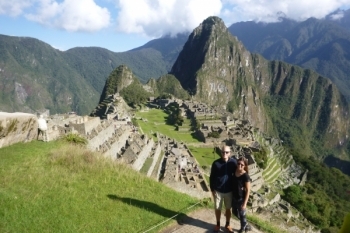 Mayra, our tour agent was always very helpful and send us all the information needed to prepare ourselves. 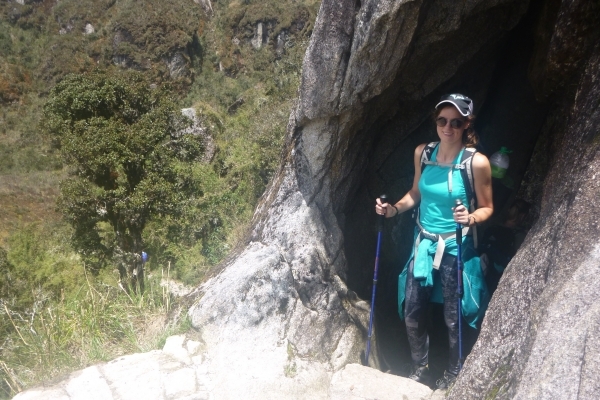 Beforehand I was a bit nervous because I was afraid that I would not make it to Machu picchu. Although the trail was hard in some parts it was definitely not too hard and we had no problem to finish it. Besides that the trail was stunningly beautiful, it was very cool to do it together in a group because those people for 4 days really felt like family. Also the food was amazing, I am a big fan of food and everyday was terrific. Most respect I have is for the porters, they seem so small but are able to carry so much stuff. Also they were always very friendly and smiling when they offered us the food or a nice coca tea. Finally each day we saw beautiful inca ruines and I enjoyed all the stories our guide Juan Carlos told us. The last day when you arrive at Machu Picchu is like an emotional moment because for 4 days we have lived up to this moment. The moment we saw the place from the Sungate the sun was shining and it could not be more beautiful than that. 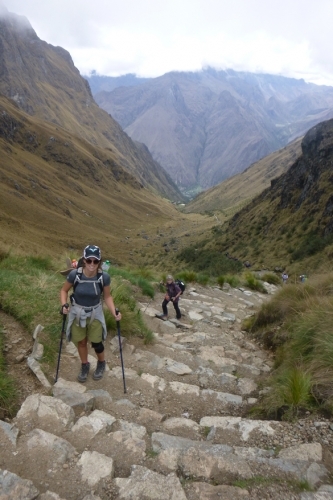 All together my experience with Inca Trail Reservations has been great and I would recommend this company to anyone.